Another good batting track. Another average attack. And another dismal outing with the bat. 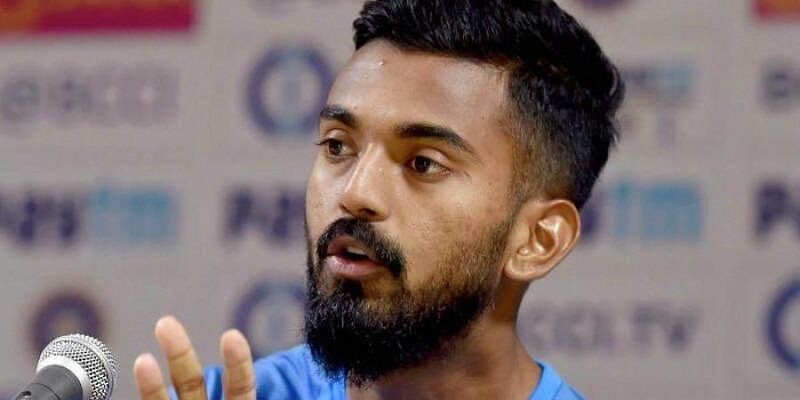 This is the story of KL Rahul. HYDERABAD: Another good batting track. Another average attack. And another dismal outing with the bat. This is the story of KL Rahul. The way he set off on Saturday, there were signs of a revival. A half-volley from Shannon Gabriel was met with a beautiful cover drive which fetched three runs. What followed was pure tragedy. While Prithvi Shaw was taking the fast bowlers to the cleaners, Rahul struggled to even find his foothold. The way he got out was also familiar. It was another incoming delivery, which the batsman wasn’t sure whether to defend or leave. The ball hit the inside edge of Rahul’s tentative bat before disturbing the stumps. The opener’s struggle against the delivery coming back into him has seen him total just 303 runs in 12 innings starting from the series in England. Of this, 149 came in one innings. It leaves India in an unenviable position before the tour of Australia. They can recall Murali Vijay, hand Mayank Agarwal a Test debut or persist with Rahul who is low on confidence. In batting coach Sanjay Bangar’s words, Rahul’s repeated failures against this kind of deliveries is not a serious concern. “I felt today’s (Saturday’s) dismissal wasn’t related to the ball coming in because it was probably a fourth-stump ball that he was looking to leave. Yes, he has had issues with balls coming in to him. He’s working hard on it. But at times, batsmen tend to think a lot about away going balls and forget to concentrate on straighter ones or which generally pitch on the stump line. If he gets out after making 20-25, then it is a more serious cause of concern. What is important he is concentrating and expecting balls to pitch on the stump line and taking it from there,” said Bangar at the end of play. In his last 17 innings in the longest format, Rahul has only one half-century and one century. If he gets a second innings here, it will be his last chance to prove himself before the long flight to Australia. Despite indifferent form, Rahul remains very much in the scheme of things and would be a surprise if he is not the first choice opener at Adelaide in seven weeks time. “You need to keep an eye on the future. Whatever runs he has scored for the Indian team, have come overseas. His contributions even in India have come in tough times, like in the series against Australia. He is part of the other formats as well. So from a team management’s point of view, we will back players who are capable of winning matches.” The question is, how long will the patience of the team management last? It’s not as if there is no other option for the selectors.